Welcome to my first book review! Yesterday, as I was browsing the isles of my local Lifeway Christian Bookstore, I noticed a woman perusing through the Francis Chan section and reading the back covers of CrazyLove and Multiply and I got really excited. So excited, in fact, that I proceeded to tell this poor woman about how our Friday night women’s Bible study group just finished up Multiply and I proceeded to give her a synopsis of the book. This made me think that I really needed to post this blog, lol. 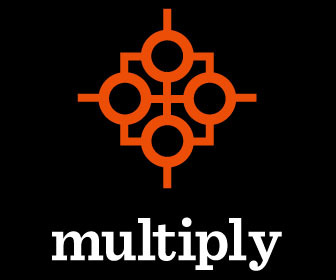 Multiply: Disciples Making Disciples is a great book! It asks tough questions that get you thinking about what it means to be a disciple–a follower of Christ–and discusses the purposes and need for the church body, both local and global. Then it goes on to describe why and how we should study the Bible, and briefly covers the Old and New Testaments, leaving the reader with a better understanding of the Word, God’s plan for redeeming mankind, and the call God has placed on our lives to “go forth and preach the gospel.” I believe what this book does best is it encourages the reader to be more confident and more intentional about sharing the Word. One of the questions asked towards the end of the book was, “What does it mean to be a fisher of men?” Immediately, I realized I’ve been missing it! Fishing requires work! The fish don’t just jump in the boat. We have to cast the net and hook the line! If you haven’t realized it so far, I highly recommend this book. It’s basically a small group study, so work through it with a small group (don’t have one? create one!) and be sure to check out the website for handouts for those who don’t have access to the book. This entry was posted in Book Reviews, Faith, Ministry and tagged book review, book reviews, disciples, discipleship, Francis Chan, Multiply, small group studies. Bookmark the permalink.